Revenue in the Canned, Dried & Smoked Fish segment amounts to US$165,662m in 2019. The market is expected to grow annually by 4.6% (CAGR 2019-2023). In global comparison, most revenue is generated in China (US$33,435m in 2019). In relation to total population figures, per person revenues of US$22.51 are generated in 2019. The average per capita consumption stands at 2.3 kg in 2019. Canned fish covers processed and durable goods such as cooked fish, canned tuna, smoked fish, dried fish and fish salads. Reading Support Revenue in the Canned, Dried & Smoked Fish segment amounts to US$165,662m in 2019. 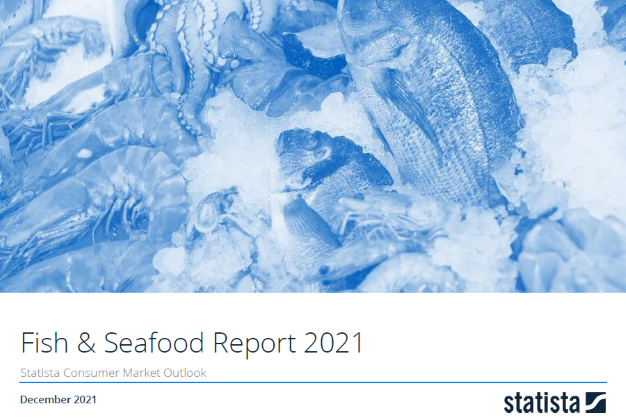 Reading Support The Canned, Dried & Smoked Fish segment is expected to show a revenue growth of 5.9% in 2020. The “Revenue” box shows the forecasted revenue development of the selected market (market segment, region) in million US dollars for each year. Reading Support The average revenue per person in the market for Canned, Dried & Smoked Fish amounts to US$22.51 in 2019. The "Average Revenue per Capita" box shows the average market value of the selected market (market segment, region) per person in US dollars for each year. Reading Support In the market for Canned, Dried & Smoked Fish, volume is expected to amount to 18,557.0 mkg by 2023. Reading Support The market for Canned, Dried & Smoked Fish is expected to show a volume growth of 3.0% in 2020. The “Volume” box shows the apparent consumption of the selected product (market segment, region) in millions for each year. Reading Support The average volume per person in the market for Canned, Dried & Smoked Fish amounts to 2.3 kg in 2019. The "Average Volume per Capita" box shows the average volume of the selected market (market segment, region) per person for each year. Reading Support The average price per unit in the market for Canned, Dried & Smoked Fish amounts to US$9.86 in 2019. The "Price per Unit" box shows the average retail value per unit in the selected market (market segment, region) in US dollars for each year. Reading Support With a market volume of US$33,435m in 2019, most revenue is generated in China. Alcohol consumption in l alc. Here you can find more studies and statistics about "Canned, Dried & Smoked Fish".